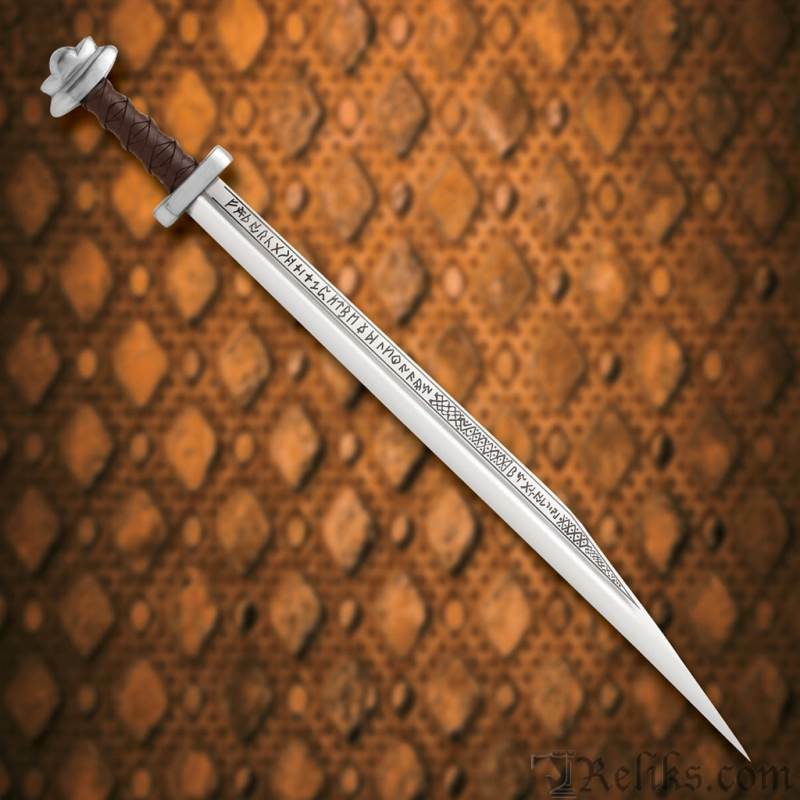 Back by popular demand is this Viking seax, whose long blade is decorated with letters of the runic alphabet. 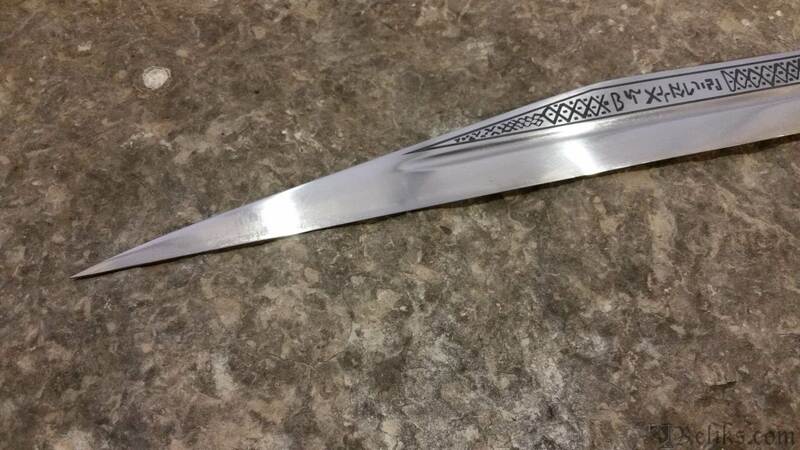 The Vikings believed that runes possessed magical power and often inscribed them into blades to increase power. 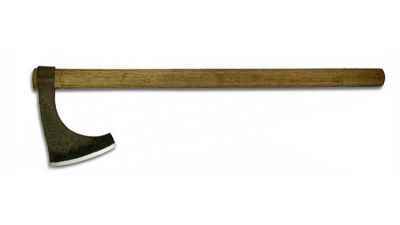 Copied from one on display at the British Museum. 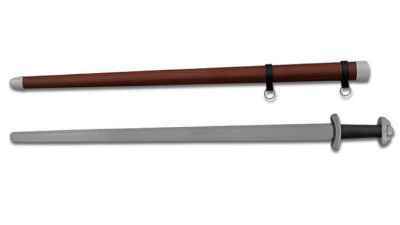 Leather-wrapped handle gives you a firm grip on this surprisingly light and quick weapon. 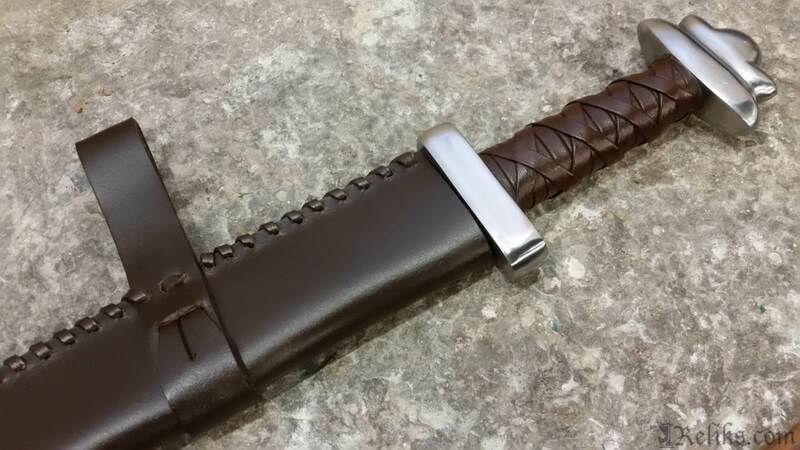 Comes with a brown leather scabbard and two back-belt hanging straps. 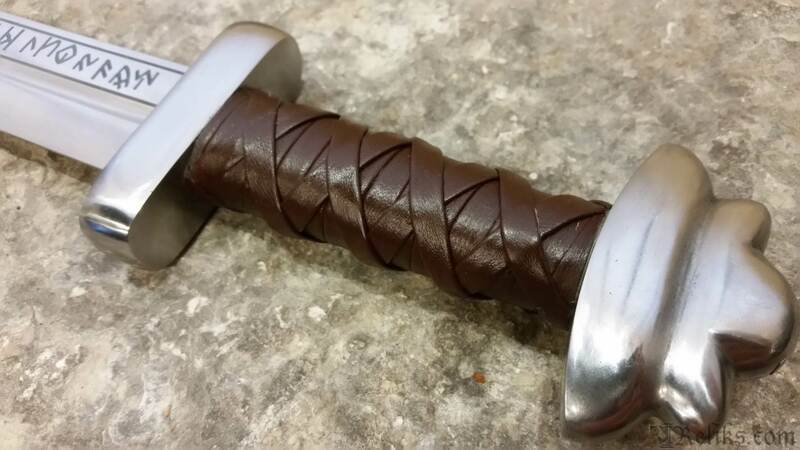 Made by Windlass Steelcrafts. 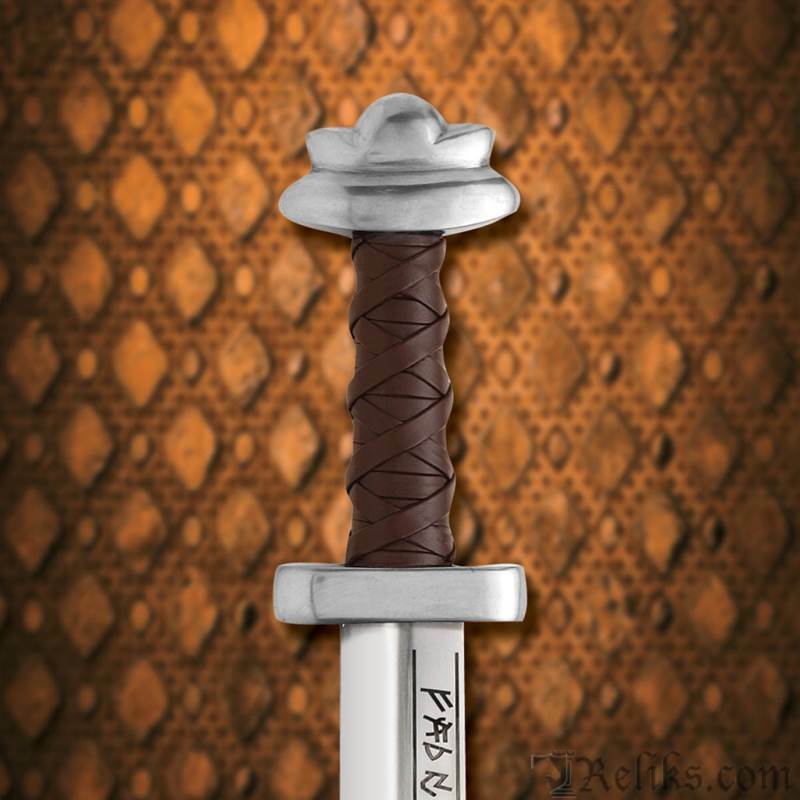 Leather Grip - Viking long seax with brown leather handle grip. 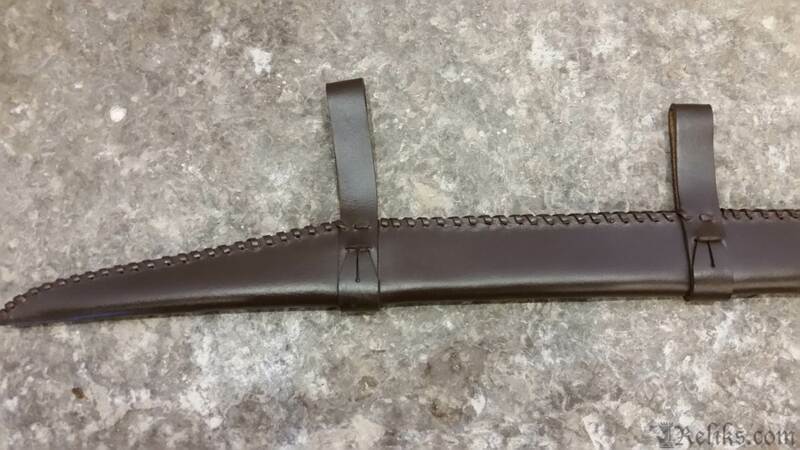 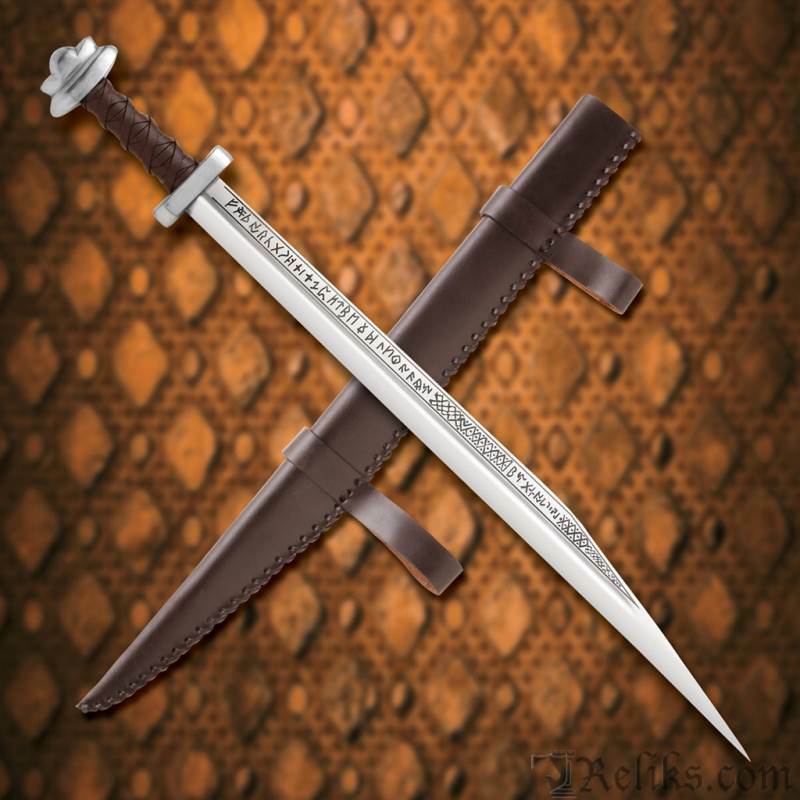 Seax Sheath - Brown leather sheath with the Runic Long Seax. 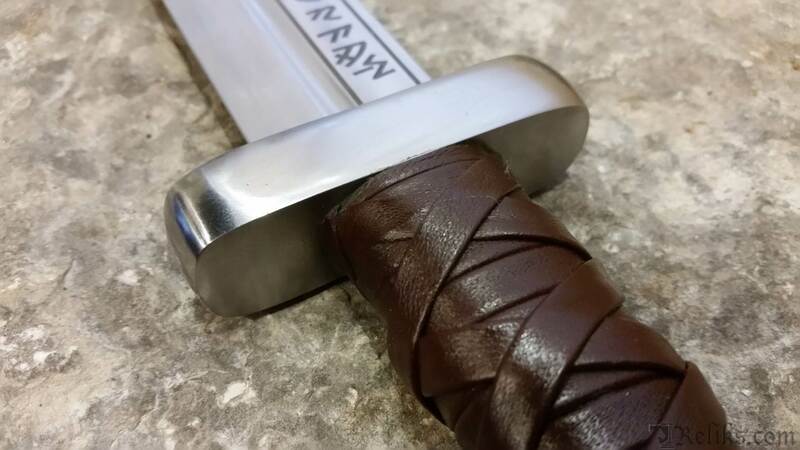 Viking Runes - Viking runes are depicted in the 1065 high carbon steel blade. 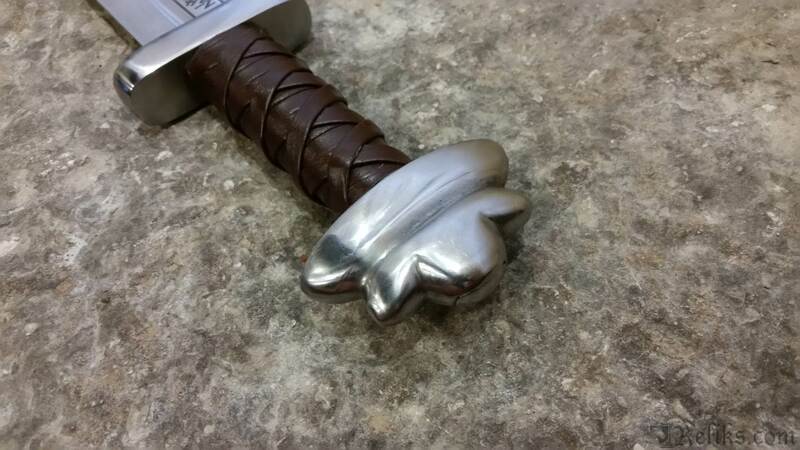 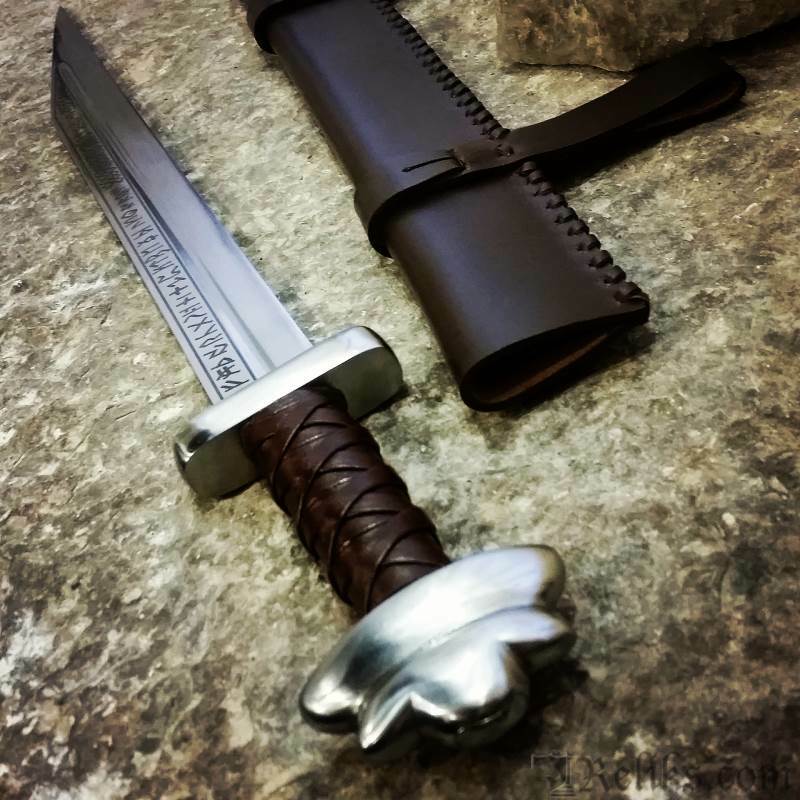 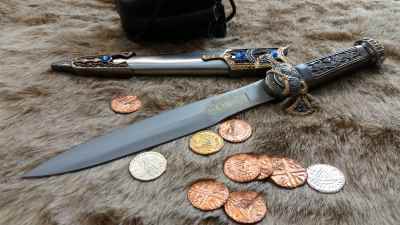 Seax Handle - Pommel and guard of the functional viking seax.